Banning Branch is located adjacent to Eader Elementary school. Each cardholder gets one hour of computer access per day with the possibility to extend for two additional hours based on availability. Banning has ongoing book sales so book donations are gratefully accepted. 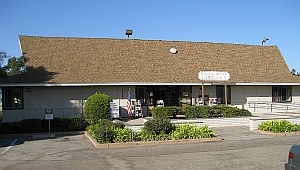 The 2,400 square foot Banning library building was originally built in 1962 as a real estate sales office located at 22171 Bushard Avenue. On March 26, 1968 the building was moved to its present location and subsequently opened as library. In 2007, the architectural firm of Tetra Design was commissioned to design a new 12,500 sq ft library building for Banning. It is hoped that funding and community support will help make the new Banning Branch Library a possibility in the future.